Call me bias but I think Oscar looks wonderful in his new Eskadron head collar, I sneakily added it to my Equishop shopping basket last week, a steal in the sale at £13.10 - how could I resist? I love the cute rubber name tag on the lead rope! If you haven't used Equishop, they're the largest equestrian shop in Poland, stocking premium brands competitively priced and they ship parcels using UPS, ensuring a fast, tracked delivery service - I am an advocate...I think Oscar is too! It was magical to wake up to snow this morning here in the UK, but I wouldn't have been so excited about it without a few items I would describe as my 'Winter Survival' favourites, because being cold just isn't fun! My Le Chameau wellies, my feet become incredibly painful when they're cold and these wellies have been a Winter saviour for me, they're neoprene lined and comfortable up to -15 degrees (thankfully I haven't tried them out at this temperature, but I'll to take Le Chameau's word for it). I blogged about my Le Chameau's back in January 2014 here they're worn daily and still going strong - picture taken today. Secondly, my Sealskinz Women's Winter Riding Glove - I have to confess I don't ride in these as I loose a bit of my feel because of their bulk but they're attached to my hands right up until I change into my riding gloves and for yard jobs they're excellent. They're fully waterproof and protect my hands from sores and chilblains. I wouldn't be without them, especially on a day like today! I live in my ProSkin Base Layer! 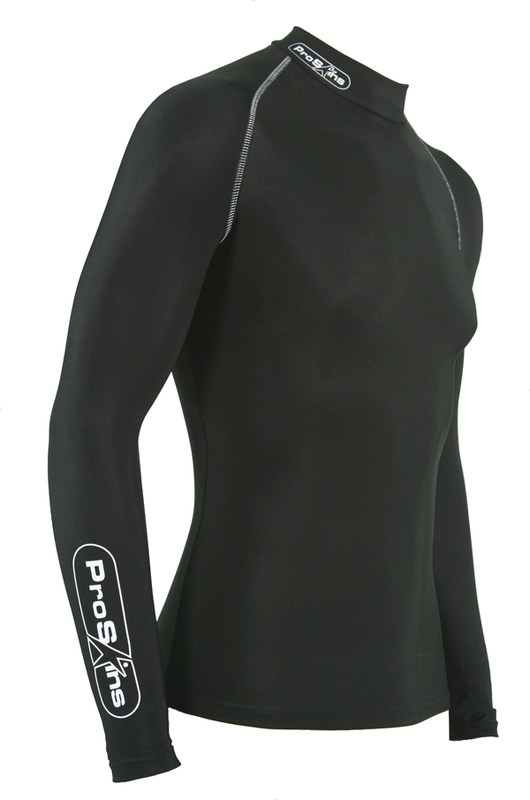 ProSkin are the developers of the most advanced sporting base-layer technologies in the world, adapted to meet the needs of motorcyclists. Yes motorcyclists, but as you read on you'll learn their requirements are very similar to those of equestrians. 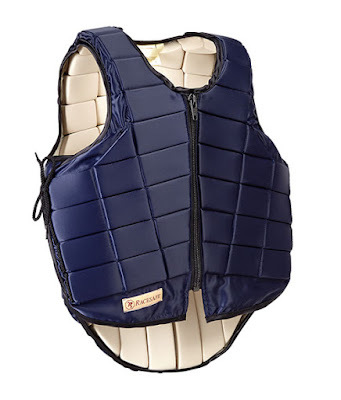 The ProSkin encases the body with a close fit, it's soft and smooth fabric gives freedom of movement whilst eradicating any discomfort caused by chaffing, sweating or any cuff/collar irritation, and behind the scenes the ProSkin's thermal properties are working hard to keep your muscles at the optimum temperature, enabling your body to perform at the most efficient level. My ProSkin was a gift and they can be purchased here from Two Wheel Centre motorcycle specialists. How did I survive with my soft shell breeches? I discovered mine last January, I lived in them until Spring and here I am again, still loving their fluffy warmth. 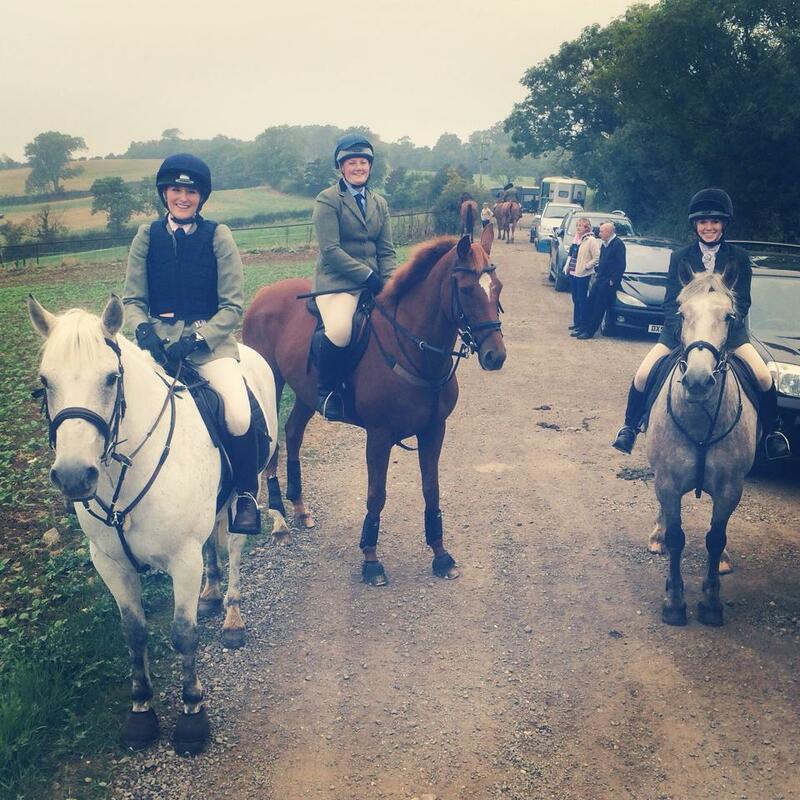 Mine are the Pikeur Lucinda Grip Cork-Shell Breeches and they're spot on it every way. 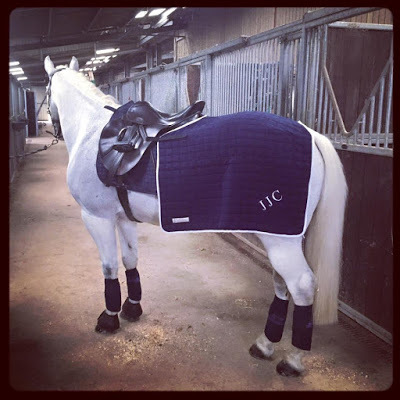 ...and because it isn't all about me, Oscar's Thermatex Quarter Rug - actually all Oscar's Thermatex products are necessities in Winter but this is my favourite. I insist in warming up in his Quarter Rug on cold days and believe it makes a difference, plus I can slide my hands underneath it for a toasty warm up when we take a breather. And you'll be pleased to know my Racesafe RS2010 is still looking smart and going strong after plenty of use, I love it! The RS2010 design continues to offer the highest Europeon and BETA standards of protection with market leading comfort and flexibility - a claim I whole heartedly support. The RS2010 is designed with up to seventy independently hinged foam sections to allow movement and air circulation, it is the most comfortable and lightweight body protector I have ever worn, I can even take my boots off and breath at the same time as wearing it...sounds a simple task but some brands can be like wearing a corset. I also love that the sides of the RS2010 lace up, this meant when I bravely attempted Autumn hunting for the first time I could let out the sides and wear over my tweed, giving me extra confidence I needed in the field. Thank you Racesafe for keeping me safe during our many adventures over the past two years, a truly wonderful purchase and there will be no hesitation in purchasing another when the time comes. Oscar has been happily delving into his TopSpec Lite Balancer since September (2015), the only thing I ask myself is what took me so long? And if I am really honest...it was fear. When Oscar came to live with me in March 2013 he was fit and fresh...I continued to feed him the diet he had in his previous home to help him settle into his new lifestyle, I quickly learnt this diet was more suited to hunting than pony clubbing as I watched Oscar bounce around the field, loose the ability to stand still and snort fire when ridden! I turned to my fellow liveries for advise who were Simple Systems advocates. After sampling the Total Eclipse Balancer I ordered a bag of my own, I fed this with their Timothy Chop and PuraBeet as recommended. I love Simple Systems dedication to feeding forage based diets and their feeds smell fresh and healthy, with friends having superb results, but Oscar never tucked in...some days he'd choose his feed first over his hay, others he didn't even lift his head when I walked into his stable with the bowl, the next day...some mornings the feed was consumed and others it was untouched for me to throw away. Early Summer 2015 Oscar refused his Simple Systems feed, I rang and the ever helpful staff who recommended their Lucie Mints but being typically Irish he doesn't like anything mint flavoured having not been introduced to "treats" until his later years, and because we are so fortunate to have acres of fantastic grazing, (in Spring/Summer months I am not always as grateful as I should be) and a supply of beautiful hay from a local farmer I gave up on feed. The guilt that Oscar wasn't getting his full intake of vitamins and minerals pushed to the back of my mind. At the British Dressage Championships in September 2015 I visited a TopSpec trade stand and asked them what they would recommend for Oscar, the expert team gave me a sample of their Lite Balancer. Frantically Googling when I got home I found mixed reviews...more positive than negative but the negative ones have a horrid habit of sticking in your mind, but still I gave it a go praying Oscar wouldn't be found turned inside out doing handstands in his stable the next day as he licked the bowl clean. Phew, least it's palatable, first tick! As my sample ran out I purchased a bag from my local country store at £20.25, I fed it alone as per the instructions split into two meals, morning and evening, the bowl joyfully licked clean each time. I waited days...weeks for a change in temperament, when would my sensitive horse lose his head? But if anything his concentration has improved, along with his feet, coat and contentedness. 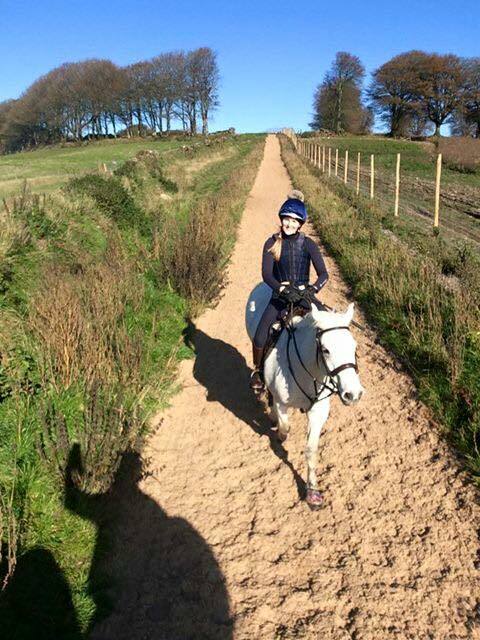 I am months in and have nothing but glowing feedback for TopSpec, Oscar looks and feels the best he ever has. 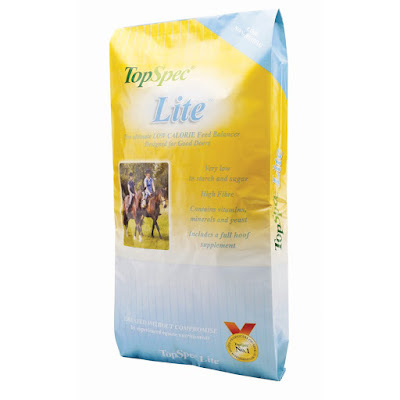 So what is TopSpec Lite Balancer; a non-heating, cereal-grain-free formula with low levels of starch and sugar, and a considered level of protein to help maintain muscle function but avoid promoting body condition. Lite Balancer allows horses and ponies to receive all the micro-nutrients required to balance the diet when in light to medium work in a small amount of exceptionally low-calorie feed. Alongside helping to maintain excellent health Lite Balancer will also greatly improve hoof quality, promote supple skin and an exceptionally shiny coat. Palatable to be fed alone or with a little TopChop Lite. I feed Oscar TopSpec Lite Balancer alone, with plenty of adhoc forage overnight and an average of 9/10 hours turnout/grazing per day. After years of struggling with feed my heart swells with happiness as Oscar nickers as I walk in the feed room, his ears pricked awaiting my return, for the bowl to be heartily hoovered clean twice a day, heaven to have a happy horse. As I said, what took me so long...?